LightWave3D Software provides Award-Winning, Production-Proven VFX and Animation Tools for Artists. LightWave 3D® enters the Real-Time Age for interchange with this workflow link between the Unreal Engine and LightWave 3D®, focusing on LightWave driving Unreal changes iteratively. 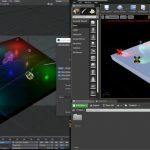 Multiple LightWave seats are able to connect to the same Unreal Editor simultaneously to enable real-time collaboration between artists. The bridge uses NewTek’s proven NDI®network discovery mechanism for easy automatic configuration, and can be limited to single project use in Unreal, or installed as a general plugin for use in all Unreal projects. This node can add Wear (a convex shader) to a surface, or Dirt (concave) based on a radius and offset. 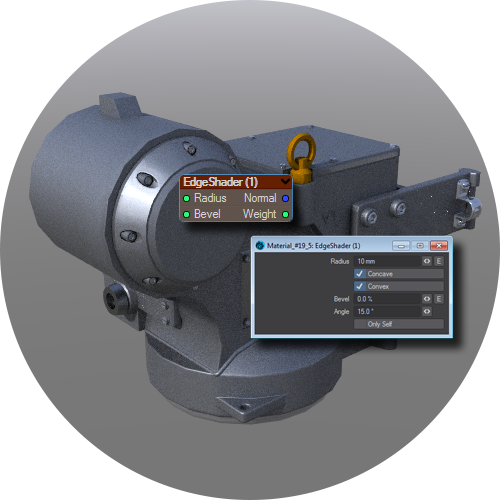 This node encapsulates a chosen legacy system LightWave 3D® or third party procedural texture and exposes it with the typical nodal inputs and outputs. Previously, such procedurals were only available inside a Procedural texture layer of a texture stack. LightWave now uses smart caching with very high-resolution images, allowing artists to use them for textures and other uses, regardless of the memory in the computer system. 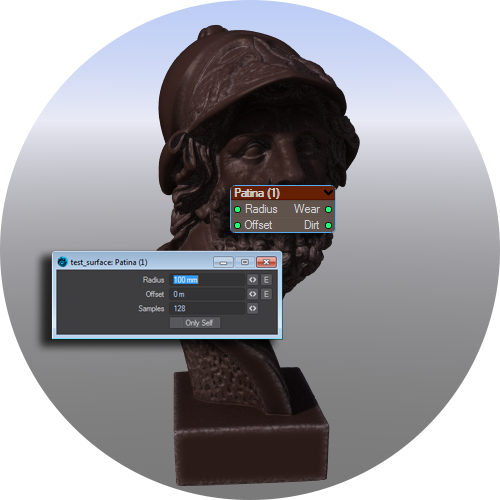 The new Rho buffer is for extracting lighting and shading information from the direct and indirect buffers. 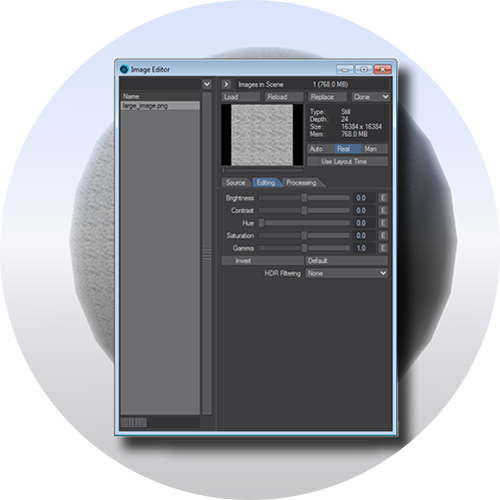 A new Weight buffer contains the value of the surface shader settings for both direct and indirect buffers. These are useful for heavy compositing work. 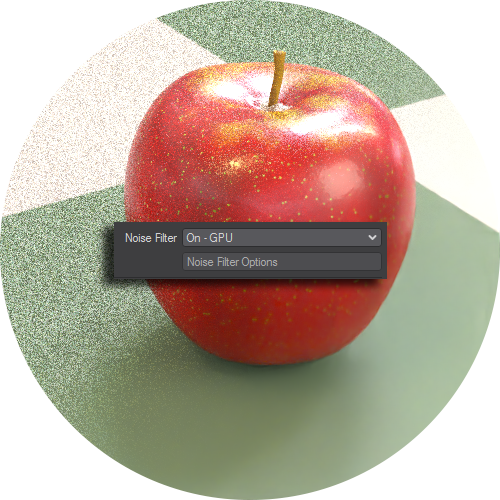 A new Noise Filter option uses the NVIDIA OptiX™ library for AI-accelerated noise reduction when rendering still images. Requires NVIDIA card. 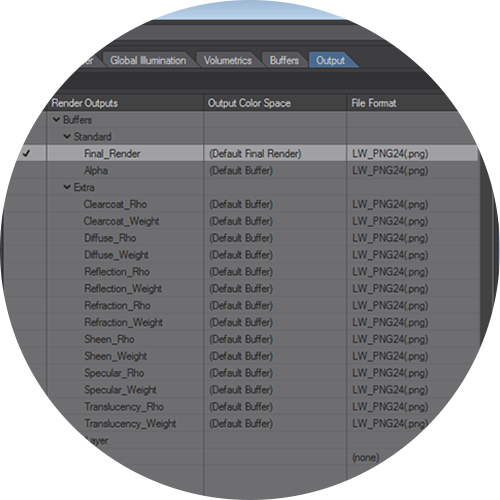 This new Renderer option is a tool for reducing or removing “fireflies” in renders. An Environment plugin to replicate physically accurate skies and create otherworldly skies, with equal ease. A new Light Type that simulates a sun using state-of-the-art scientific methods. 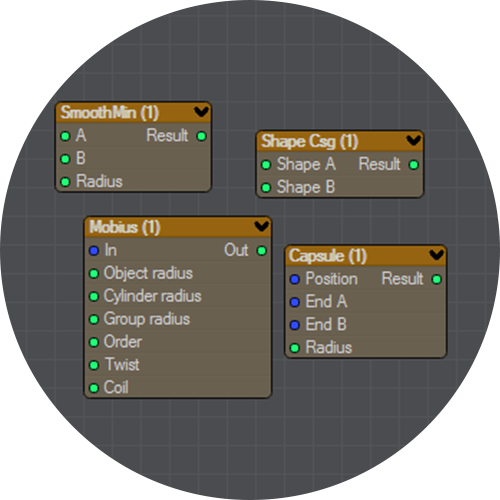 Modeler now supports the creation of smoothing groups within a mesh. Smoothing groups provide a way to create creases and hard edges, and more precisely control regional contours on your model. You are no longer limited to a single smoothing angle, adding extra control geometry, or breaking your model into parts to achieve the look you desire. 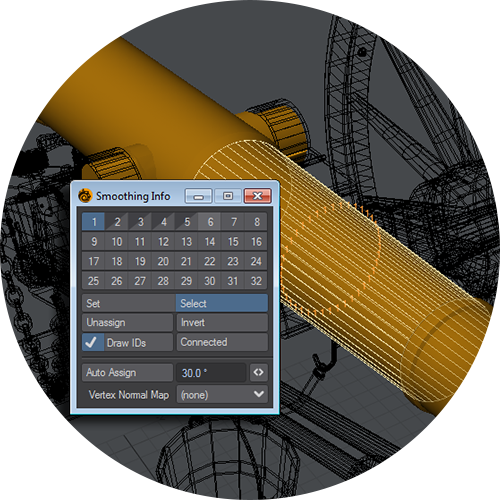 Smoothing groups can be created automatically using a vertex normal map, imported with OBJ files, by using a smoothing angle threshold or manually. 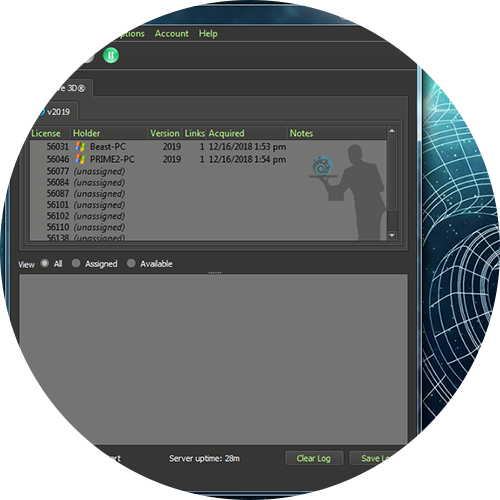 Smoothing groups can be exchanged with other software that supports the format. LightWave 3D® 2019 adds the new Shape Primitive, Empty Volume, which can be used for creating procedural surface shapes. In addition to being directly useful in scenes, the Empty Volume primitive is helpful in workflows that need to convert meshes to volumes or vice versa. Empty Volume can also provide for real-time Boolean operations in Layout. The Empty Volume shape primitive allows advanced users to write their own distance estimators for rendered SDF shapes and volumetrics. SmoothMin, a soft blending node. FLAT MENU: You can now call up a flattened version of every entry that exists in the main menu with the keyboard shortcut CTRL Space. Doing so presents a list of all available commands in Layout or Modeler (with their associated keyboard shortcuts). 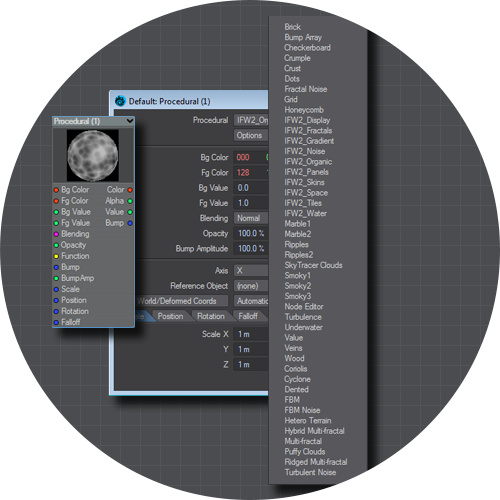 As with other LightWave menus, you can type to narrow down your selection and the cursor keys and Enter can be used to choose the command you require. Tidy Nodes Command: A tool to make ‘cluttered’ node trees ‘straight’ and easier to read from left to right automatically. Snap to Grid: you can turn on this tool to make the nodes ‘snap’ to a user settable grid size. 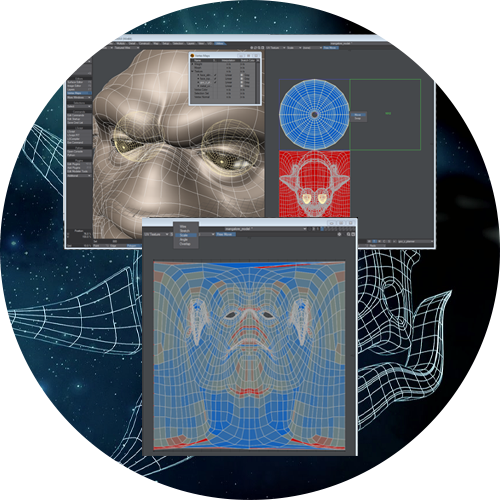 Responsive layout – the LightWave 3D® documentation now fits on any device you care to use it on. 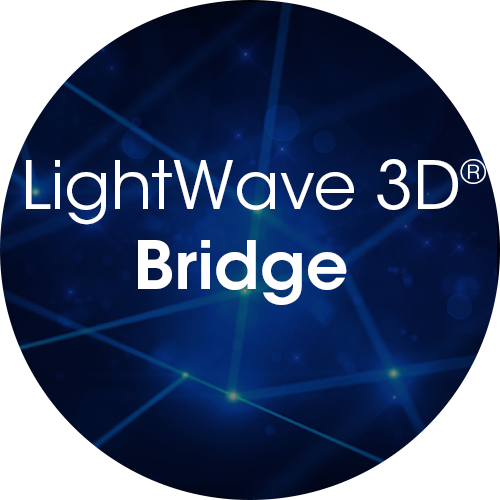 A new licensing management option for large facilities, this is a specialized build of the LightWave 3D® applications wherein licensing of LightWave 3D®is controlled through a managed portal. Purchase is by special arrangement. LightWave3D combines a a brand new state-of-the-art render engine with powerful, intuitive modeling, and animation tools. Tools that may cost extra in other professional 3D applications are part of the product package, including 999 free cross-platform render nodes, support for Windows and Mac UB 64 and 32-bit operating systems, free technical support and more. LightWave is enjoyed worldwide, as a complete 3D production solution for feature film and television visual effects, broadcast design, print graphics, visualization, game development, and Web. LightWave is responsible for more artists winning Emmy Awards than any other 3D application. Major Studios and Post-Production Houses spend years assembling their custom pipelines, often at great expense and requiring large numbers of technical staff to maintain. Those complex pipelines are perfect for companies with hundreds of employees, but can be overkill for the majority of studios around the world with 40 employees or less. LightWave fits seamlessly into large multi-software pipelines – with its powerful interchange tools including FBX, ZBrush GoZ, Collada, Unity Game Engine Support, and Autodesk Geometry Cache. Unlike other software packages, LightWave offers artists and studios a complete end-to-end solution right out of the box. Robust polygonal and subdivision surface modeling, unique. 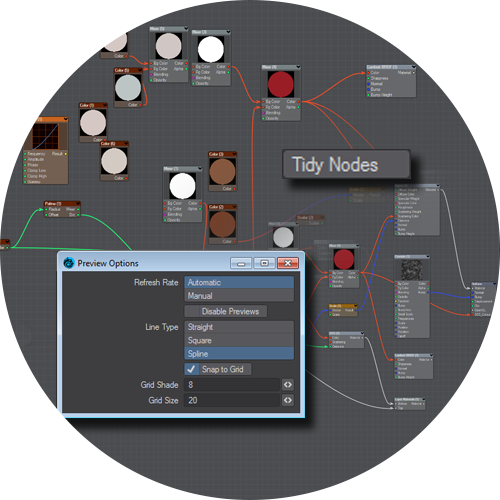 Interchangeable layered and nodal texturing, along with powerful dedicated node material shaders. Powerful animation and rigging tools. Eye-popping volumetric and dynamic effects systems. A production proven, award-winning Global Illumination render engine – built in. You decide what workflow or pipeline suits you best and LightWave puts all of the tools in your hands. LightWave has been the choice of countless studios and artists for over 20 years. Chances are LightWave was used to create many of your favorite films, television programs, and games. Download the LightWave 3D trial today and see why so many artists depend on LightWave to get their work done, on time, on budget, and with amazing render quality – it’s all in the box! For Educator and School Package or Lab Pack pricing on LightWave3D, contact us for special discounts and training bundles! Get up to speed fast with our training materials and give your students exciting training and project based courses as they learn LightWave3D. LightWave set the standard for polygonal, subdivision surface modeling a decade before many of the other 3D software packages included even basic polygonal modeling tools. While others were basing their pipelines on clunky spline-patching workflows, LightWave artists were quickly and efficiently modeling with smooth subdivision surfaces interactively. LightWave continues to offer powerful, rock-solid modeling tools and the latest versions of LightWave raise the bar with increased interactivity and ease of use. LightWave offers two surfacing systems to the artist. A fast, simple to use layer-based system, and a very flexible and powerful nodal system. Each offer different workflows to suit the artist – for quick results, the layered system is perfect for fast visualization and concept design. For those who like to dig deep, the nodal system offers ultimate creative freedom. 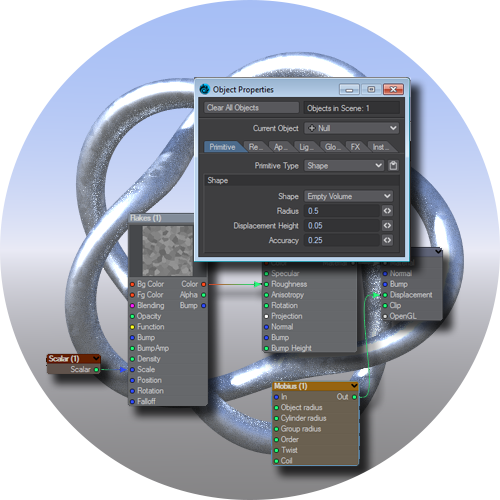 These systems can be used independently of each other, but unique to LightWave is the ability to mix them together. You can use the layered surfacing to achieve results quickly, then choose any of the surface properties to use in a nodal context. This allows you to create extremely complex results very quickly. The node system also includes easy to use physically accurate material shaders for glass, metal, skin and carpaint, allowing you to achieve photoreal results quickly. 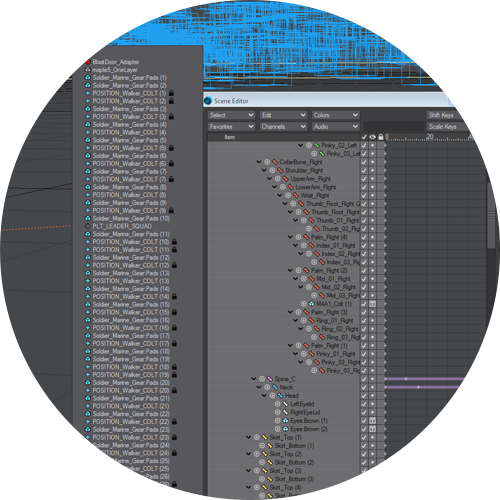 The rigging tools in LightWave are fast and flexible and again offer artists choices in workflow. LightWave pioneered a very powerful and easy to set up automatic joint influence falloff system. 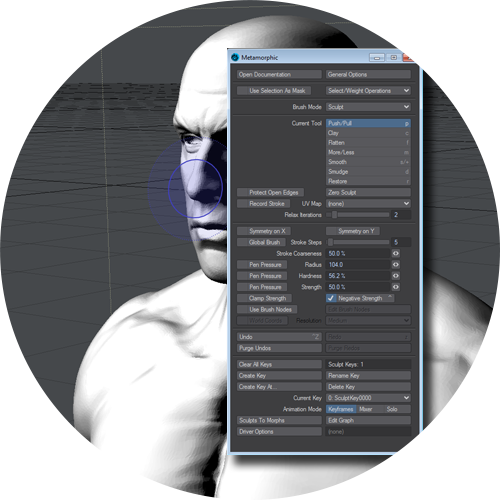 This means that you can either choose to setup industry standard weight maps for your characters and rigged geometry or you can elect to bypass that often time-consuming weight mapping process for quick visualization and concept design animation workflows by using the automatic joint falloff that is built in to LightWave’s animation system. This allows you to quickly and easily swap out geometry in rigs with zero weight map hassles. But you always have the choice to work with weight maps for that added control when your project requires it. LightWave includes powerful procedural, nodal, and keyframe animation tools. An easy to use and customizable keyframe graph editor allows you to quickly place and edit keys, time scale, filter, and even manipulate your animations with expressions. Bake your animations per keyframe or with frame stepping and create motion clips to blend together within the non-linear motion mixer. 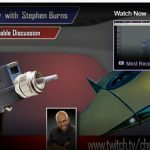 You can even bake animations to Autodesk geometry cache or industry standard MDD files to simplify the scene for rendering or for export to other animation packages. For facial animation LightWave includes an efficient blend-shape system called Endomorphs which includes all of your morph targets within your base object. Endomorphs can even be sculpted in ZBrush using the new ZBrush GoZ interchange tools included in LightWave. LightWave’s development team is bridging the gap between real and virtual worlds, by bringing together the broadest array in any application of new devices with which to interact with the set and characters inside LightWave’s virtual stage and model shop. Device support ranges from economical mice, tablets and game system controllers to the sensor arrays and custom cameras and devices used let directors, lighting grips and camera operators walk a real set and fully capture their data into the virtual set modeled in LightWave. 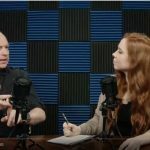 Applications range from propelling your camera on an architectural flythrough using a 6DoF mouse to puppeteering your characters live on stage using Playstation Move controllers, to recording every camera move shot for shot for a major motion picture, a technique pioneered on the film Avatar. 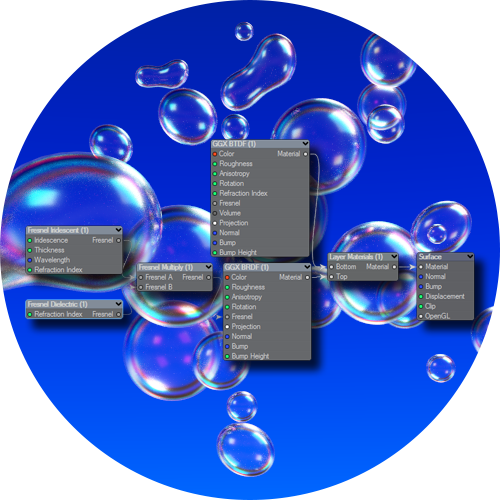 Instancing allows vast duplication of objects in a scene with very little overhead. With instancing huge ‘virtual’ polygon counts can be achieved allowing the artist to populate their scenes with incredible detail, yet retain reasonable render times and memory usage. While instances can be thought of as clones of the original source objects, they do not need to look identical. They can be randomly scaled, positioned, rotated and even surfaced entirely differently from the source, allowing for a huge variety of uses. Bullet is a fast, production-proven, open source physics engine that is used in many high profile, effects-driven films and real-time game engines. Bullet features 3D rigid body dynamics originally created by Erwin Coumans. LightWave 11 features the Bullet dynamics engine directly in Layout so that it can be used with the new Fracture tool in Modeler to create compelling physics-based animation. Things like collapsing buildings, explosions, and even natural placement of items in a random pattern, would otherwise be difficult to do by hand. Hypervoxels allows you to create beautiful smoke, flame, liquids, explosions, nebulas, clouds or any other volumetric effect that you can imagine. With real-time interactive support within LightWave’s VPR, you can experiment and adjust volumetric effects to your heart’s content. All calculated at beautiful, final render quality directly within the LightWave interface. 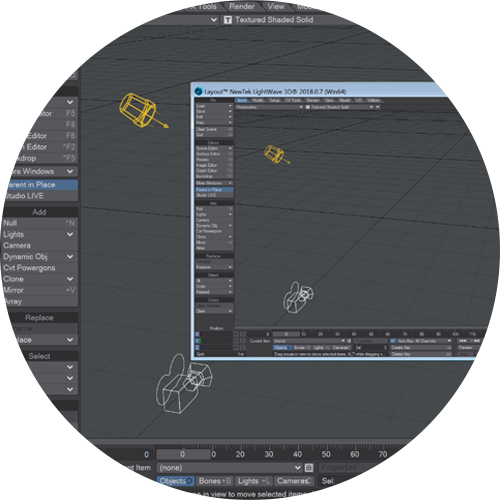 Is a robust, fully-featured particle engine within LightWave. The flexibility of ParticleFX allows a wide variety of looks; from explosive effects to slow moving smoke-like behaviors. Particle emitters can be stand-alone, or attached to objects to emit particles from their vertices, polygon normals or surfaces. ParticleFX works seamlessly with HyperVoxels to allow the rendering of particles in any way imaginable. 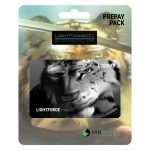 If you need hair, fur, feathers, or scales then the FiberFX tools included with LightWave are just what you are looking for. Styling and guide creation tools are included so that you can get your fibers looking just as you envision. FiberFX is known for its visual quality and its consistent look in various different lighting environments. FiberFX includes a beautiful and speedy pixel shader mode and for complex scenes where you need fibers to be ray traced in reflections or refractions you have the option of a more detailed volumetric mode. LightWave includes one of the world’s most amazing render engines at no extra cost. Everything comes down to the final rendered image and with LightWave you don’t have to buy extra rendering software to setup a complex render and shading pipeline. LightWave has everything you need to achieve the most amazing results at the highest quality. You will quickly see why LightWave is the Emmy Award-Winning Software used on so many top Hollywood films, television shows, commercials, music videos, and games. LightWave’s VPR (Viewport Preview Renderer) is an interactive renderer that enables artists to experiment with lighting, textures, volumetrics, and shading right in the LightWave viewport. VPR produces results which are similar to a final rendered image and often at a fraction of the time. VPR also has the advantage of being able to render in any viewport and with any view type, which demonstrates the versatility of the renderer. VPR provides you with instant results and a shockingly fast interactive rendered view of scenes and objects with interactive lighting, nodal shading and full support for instancing, fibers, and volumetrics. The VPR has to be seen to be believed… users of previous LightWave versions refuse to go back after experiencing the LightWave interactive VPR rendering system right in their viewport window. Linear Colorspace Workflow is the process of ensuring all scene assets that are fed to the renderer are in the same colorspace as the render engine. The resulting rendered image also needs profiling for the target display it will be viewed on in order to look correct. This process can be quite complex in other software. 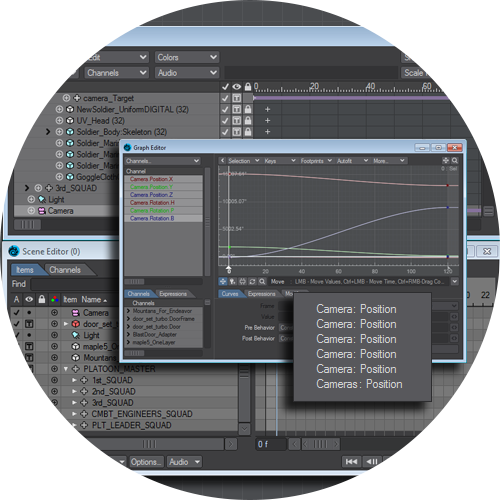 In LightWave, it’s as simple as turning it on, and choosing the output profile. 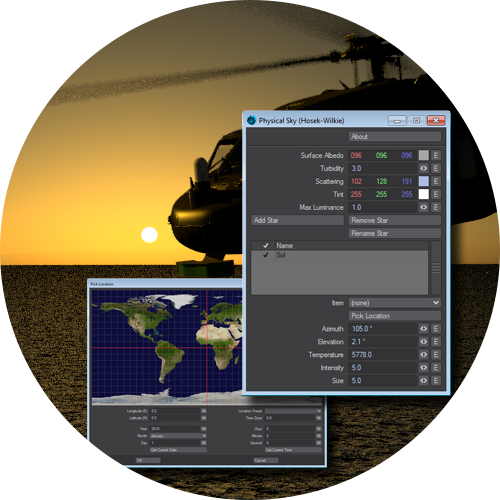 LWF in LightWave supports standard sRGB as well as ICC Color Profiles. You have complete control over which assets are profiled, along with pre-defined presets to make setup a one-click process. LightWave offers all three major stereo camera rigs including parallel, toe-in, and off-axis rig types. Artists have the ability to dynamically correct for toe-in distortion in the animation pipeline and preview the stereoscopic effect interactively in OpenGL with a simple click-and-drag convergence point adjustment in the viewport. The interocular and convergence points can be dynamically animated over time to track stereo changes within a shot and the rig included in LightWave is the same exact rig used by several top Hollywood production companies on full stereoscopic IMAX 60mm feature film effects sequences on projects including ‘Aliens of the Deep’ and ‘Ghosts of the Abyss’ both by James Cameron. LightWave has extremely robust interchange tools tested and production-proven by top Hollywood studios. This allows easy dataflow back and forth between LightWave and the other major 3D animation and effects software packages. 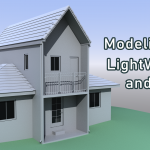 LightWave offers a complete pipeline from model to render but the sky is the limit with your pipeline setup. LightWave can solve problems and offer unique solutions for any mixed software pipeline. 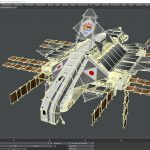 For example, rig and animate in Maya and then export your geometry cache files directly into LightWave where you can build your environments, add effects, and then render the entire project in LightWave. Or simply model and texture your geometry in LightWave and export via FBX to any major package. Another example would be quickly rigging in LightWave and exporting the rig to Motionbuilder where you can apply motion capture files and then import the final character performance into Maya or Max. It’s your pipeline with your unique needs. LightWave can be a powerful tool to solve a large number of production problems and help streamline your project. FBX is one of the standards for 3D file interchange. 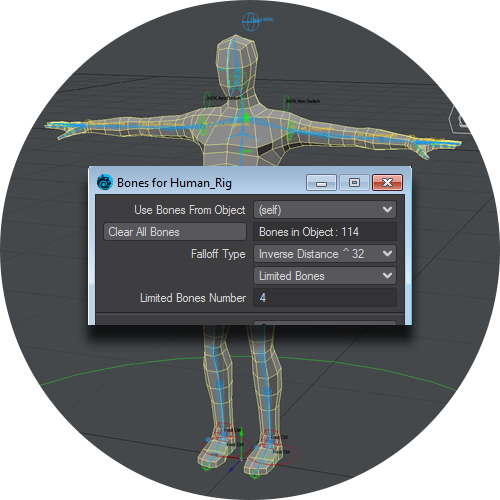 FBX files can be imported and exported with a few button clicks with support for bones, weights, geometry, textures, UV’s, Camera, and Lights. 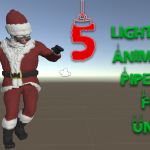 Our FBX support makes it even easier to integrate LightWave content into a variety of pipelines including motion capture and games. 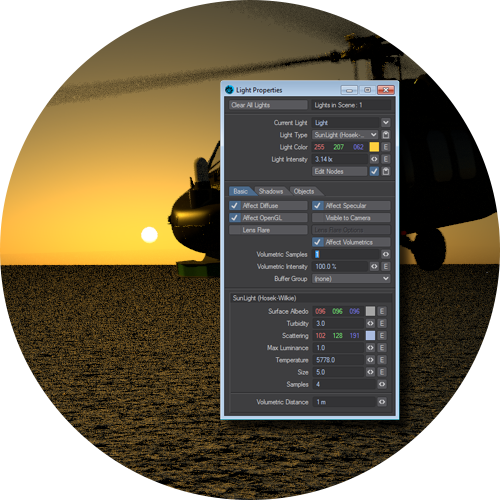 OBJ import and export has been further improved in LightWave 11. Large OBJs are now saved much faster than before. OBJs textured with image maps or numeric values in other packages will come in textured but Nodal or procedural textures will not translate in either direction. Autodesk’s Maya™ reverses diffuse and ambient, so make sure you save OBJ files for Maya using the switch provided on the OBJ tab of Options to ensure that your textures are transported correctly. MDD is a proprietary format developed by NewTek and was the first commercially available geometry and deformation caching file format. MDD is widely used in many 3D packages and provides an easy way to move animated characters, dynamic simulations, and geometry deformations between packages. The MDD Multi Baker allows users to select multiple objects at once to bake and allows the user to export the geometry to .OBJ in one step. LightWave also includes integrated support for Autodesk Geometry Cache files as an alternative for geometry and deformation baking. This makes it extremely simple to transfer files to and from Autodesk Maya™ or any other 3D software that support these formats. This allows LightWave’s efficient production proven workflow and exceptional renderer to be integrated easily within any pipeline setup to help studios meet demanding budgets and schedules. GoZ™ is an interchange technology from Pixologic® that allows applications to send model and texture data to and from ZBrush™ for sculpting detail on a base mesh. It has proven incredibly popular among many 3D artists. The GoZ implementation in LightWave Layout and Modeler is robust and fully featured. It allows you to exchange model data, along with all the associated texture maps. The Modeler implementation even lets you use ZBrush for sculpting Endomorphs for things like facial morphs. GoZ now allows LightWave to be even more integrated within studio pipelines, making it a great addition to the LightWave toolset. 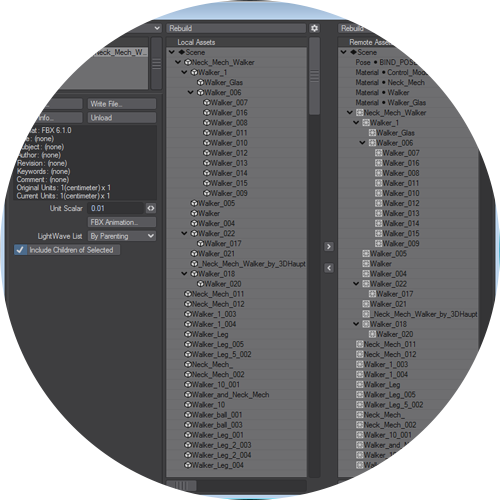 LightWave can now save scenes for Unity to enable a seamless transfer between the two programs with an automated FBX file export system which is updated every time your LightWave scene changes. The LightWave architecture is well thought out. LightWave has had a very efficient and robust ASCII based scene file format from the very beginning. This production-proven text-based scene file format set the standard which other professional software packages have eventually followed. Because of this simple, well thought out ASCII scene file format and the way that LightWave references separate object files you never run the risk of a large all inclusive binary scene file corrupting your assets. Additionally, LightWave’s text-based scene file format allows for amazing flexibility and customization within complex pipelines when coupled with the powerful Python scripting language. 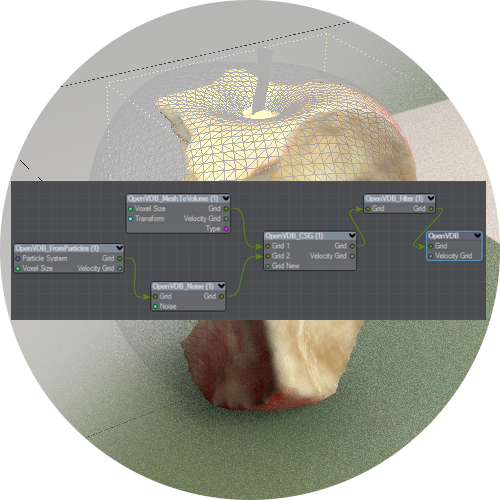 The way that LightWave references separate object files is also extremely powerful and flexible in a pipeline. 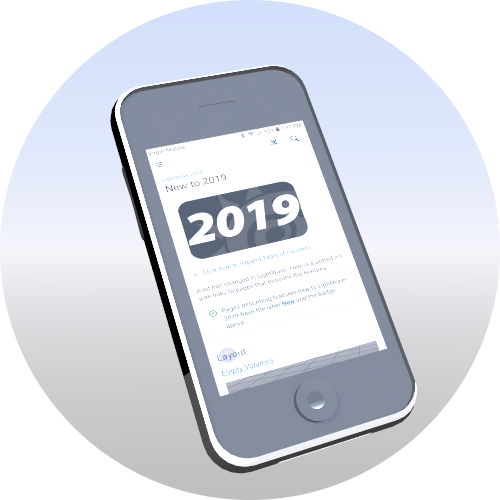 This means that the modeling team can be updating the object files as the design progresses and those objects are instantly updated across all scenes in the production. Or you can try different looks on your character rigs with a simple object replace with none of hassles that you might encounter in other software packages.